Good game. Very good game. But great game? Not so fast. Italy did not have a first choice line up on the field. Neither did the US, but the former was by choice, the latter was not. And of course it was a friendly. It’s hard for me to get amped up about a game without first choice lineups that don’t matter. They played well on the road against a better team that could have played better. It was a good performance, a confidence boosting one, but let’s not act like this was a monumental win. Historic in that they had never beat Italy and that Italy has never lost in Genoa, but historic and monumental aren’t the same thing. I can easily see Dempsey in Shea’s spot and Buddle alongside Altidore, who had two very nice goals this weekend for AZ. Of course we could also see both, starting in this formation and then a 2nd half switch if it’s not working, or vice versa. 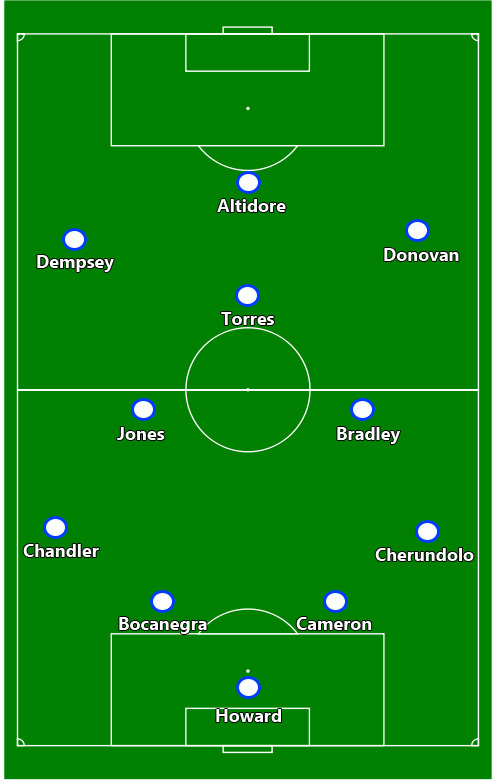 If Dempsey plays up front I would expect to see him playing behind Altidore and coming from the left. Nothing shocking there. As to who takes Donovan’s spot… who knows. Kljestan could work here, but Williams is one of Klinsmann’s guys and I think he’ll want to see him play. It’s not like he’s got a lot of options anyway. 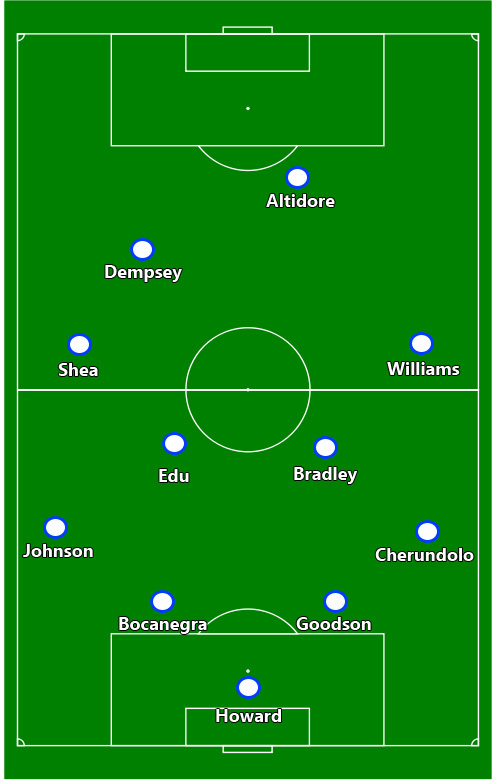 At first I had Cameron slated to start at CB but I think that with all the injuries and young players thrust into the lineup up front that Klinsmann would rather go with the guy he knows better in Goodson. It’s just a friendly though, so it doesn’t matter too much. This game just got a lot less exciting but no less intriguing. Plenty of players will have a chance to make themselves seen and heard.